And if I didn’t receive a quick response, I’d wonder what was up. 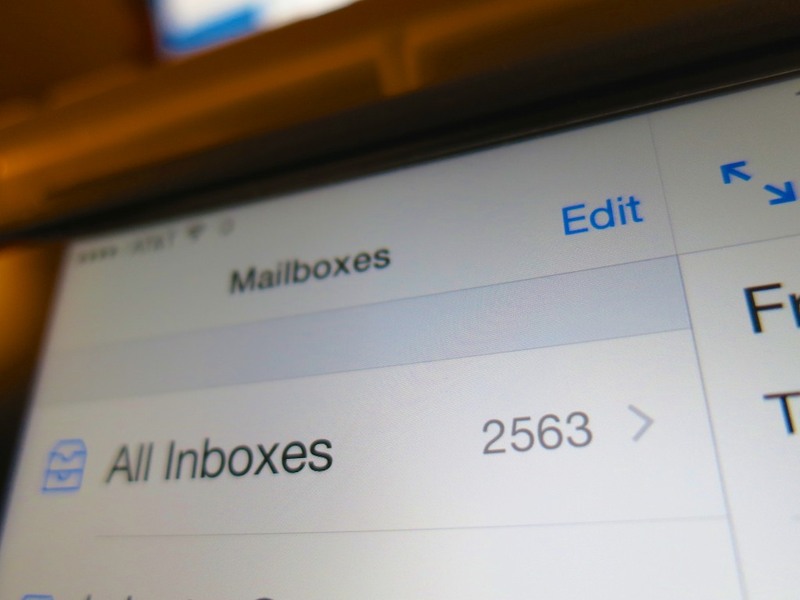 …The plain fact is your email’s Inbox has exploded. There’s simply too much email to completely get through in a day. And certainly not enough time to perform perfect email maintenance by organizing your important emails into folders and deleting the rest. Who among us still starts their day with zero emails in their Inbox? So more often than not, I find myself searching through old emails down the steep slope of my Inbox to find what I need. Usually, it’s simple enough. Search by ‘From’ or by a ‘Subject’ string. No, it’s not the most efficient use of your time, but it usually gets the job done. Typically, the emails you need are relatively current. But if you’ve got to drill deeper into your past and further down the email mountain, you could find yourself in big trouble…. I was driving to work last week, and going through a little mental exercise emptying my head of the logistical issues for the day ahead. Occasionally, this creates more space for my mind to do a little productive wandering. And sometimes, a good idea pops into my head. Now and then, I remember something I’ve forgotten to do. This time, my noggin reminded me I had to respond to an email… an email that was at least a couple weeks old. My delay in itself didn’t reflect a huge oops on my part. It was one of those emails that didn’t require an immediate turnaround. But I needed to get to it eventually. And two weeks is pushing it, no matter what email etiquette you follow. The email in question contained the name and phone number of someone I had committed to calling. Suddenly, I felt an adrenaline rush. I had forgotten the name of the sender. Quickly, I tried to remember what the ‘Subject’ was. All I had to work with was I knew it was about setting up a meeting. Hmmm…. That’s a long shot. How many hundreds of unsorted emails contain that word in the title? But I typed it in anyway. Still, I’d call this an early holiday gift from the email gods. And so I finally responded and successfully masked my little faux pas. Of course, one simple way to hold onto an old, unsorted email is to flag it with a color stamp. That way, at least it will stand out. But you’ve got to use this technique sparingly or else your email program will start to look like one of my son’s coloring books. So what’s the takeaway here…? The solution: If you don’t hear back, send out a reminder email! It’s not inappropriate at all. I’d say you’re being helpful! Just pen your message politely. Even if your original email didn’t get lost, some of the critical details might not have been correctly absorbed. Reminder emails get the job done! Remember that lingering ‘meeting’ email I lost and then found? It was his reminder email!